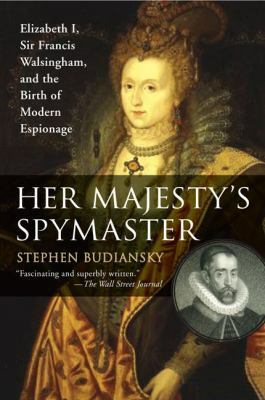 Sir Francis Walsingham's official title was principal secretary to Queen Elizabeth I, but in fact this pious, tight-lipped Puritan was England's first spymaster. A ruthless, fiercely loyal civil servant, Walsingham worked brilliantly behind the scenes to foil Elizabeth's rival Mary Queen of Scots and outwit Catholic Spain and France, which had arrayed their forces behind her. Though he cut an incongruous figure in Elizabeth's worldly court, Walsingham managed to win the trust of key players like William Cecil and the Earl of Leicester before launching his own secret campaign against the queen's enemies. Covert operations were Walsingham's genius; he pioneered techniques for exploiting double agents, spreading disinformation, and deciphering codes with the latest code-breaking science that remain staples of international espionage.